Continuing from Elle arriving home from dropping Noah to the airport. Why can't she shake off the  horrible feeling of nausea. How Did We Get Here Elle? Noah's left for Harvard, but he's come home a LOT sooner than expected. Elle and Noah were ALWAYS careful, but we're they careful enough?? This is the second part of Noah's Mistake. Now, that Noah and Elle are engaged what will their life hold. Does Noah go back to Harvard? Does Elle follow him or go to a new school? We shall wait and see. I do not own the characters of the original Kissing Booth book or movie or The Beach House. I just own the rights to the plot and any new characters I come up with. Since I am madly in love with both the book, the movie and The Beach House I might pull from all three. After the events of the book and the movie Elle and Noah battle the odds of long distance relationships during her senior year while Noah is away at college. Elle and Lee (her best friend) face new adventures and challenges while trying to survive senior year. The couple must face challenges of a long distance relationship and struggle to call, text or video chat every day. Things get more stressful and tough and gets the couple to a bump In the road. Will they survive the relationship? Can Noah still be good for Elle? Will he betray her? Will they ever break up? Will things be awkward between Lee and Elle if she and Noah breakup? its been 4 years and noah is coming home.can life go on the same after 4 years apart.noah has made a mistake and it wont go away easily. 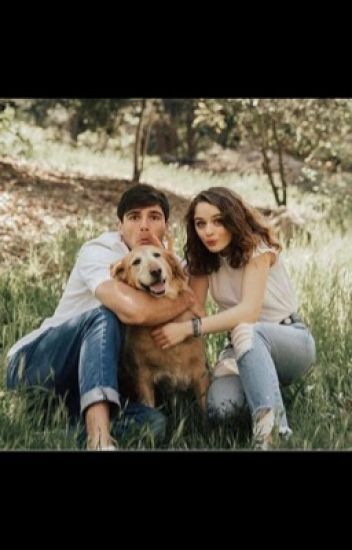 The Kissing Booth movie's Flynn and Elle continuing their relationship! If you like this story please fan/vote/comment on this story! I watched the kissing booth and oh my lord I am obsessed with it. It's such an amazing film. Hope they do a sequel of the film. Elle and Noah, now wed must face the challenges of parenthood. From pregnancy to birth the couple struggles into the arrival of their new baby. Will it be a boy or girl? What would the name of the baby be? Find out! Noah is going off to college when Elle finds out she's pregnant with his baby what will they do?